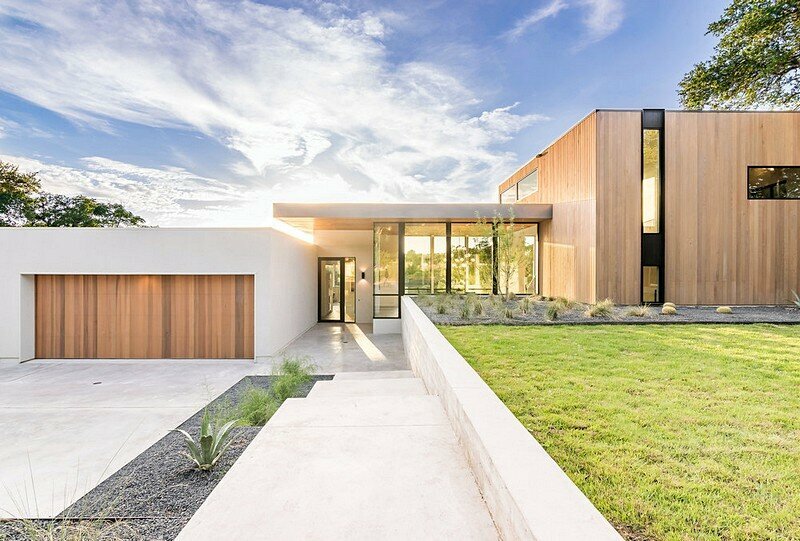 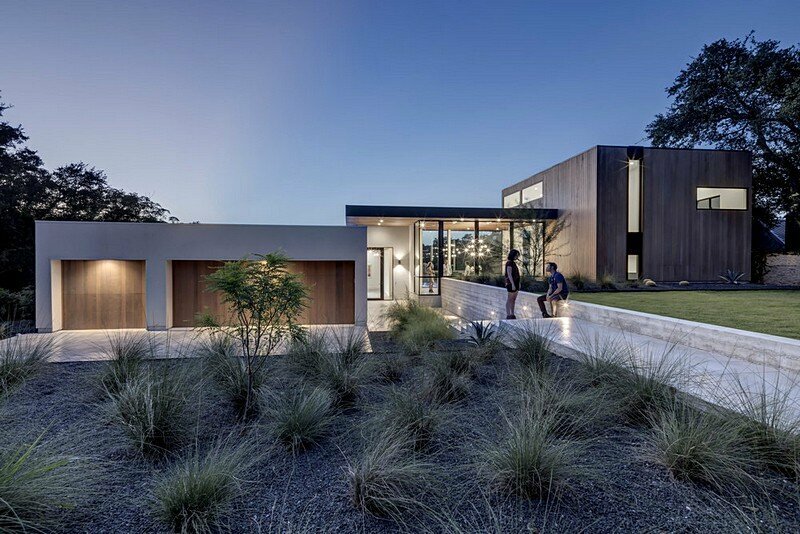 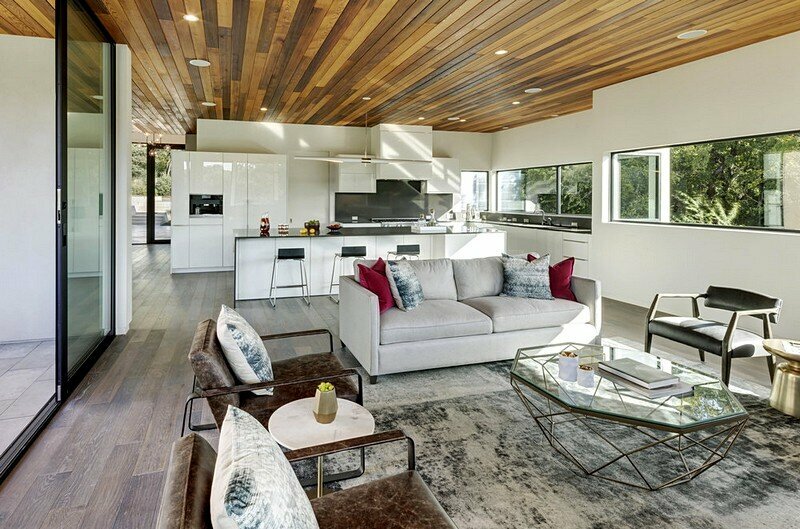 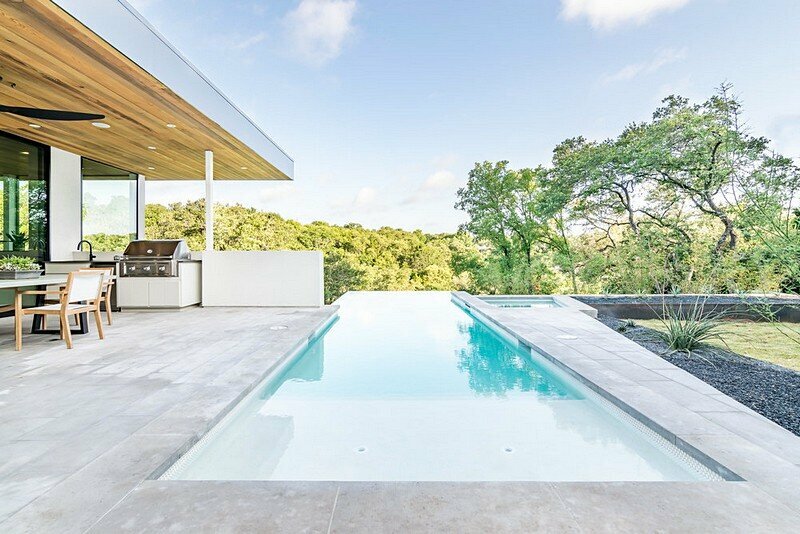 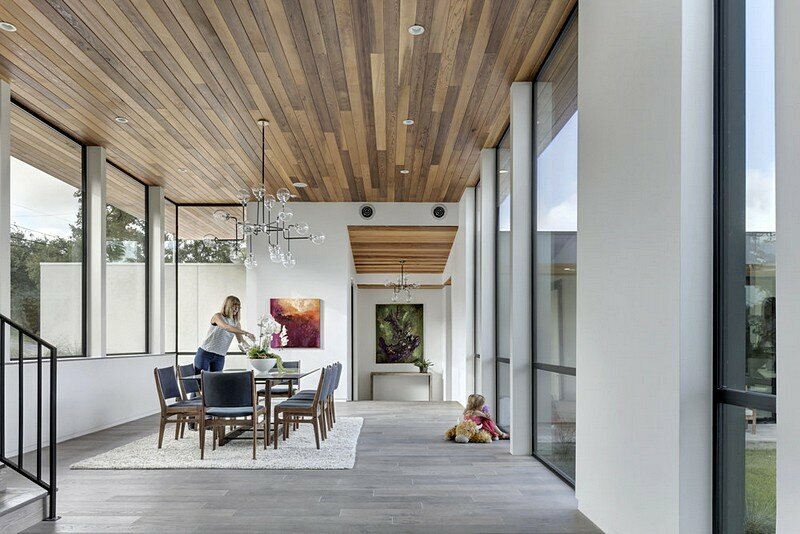 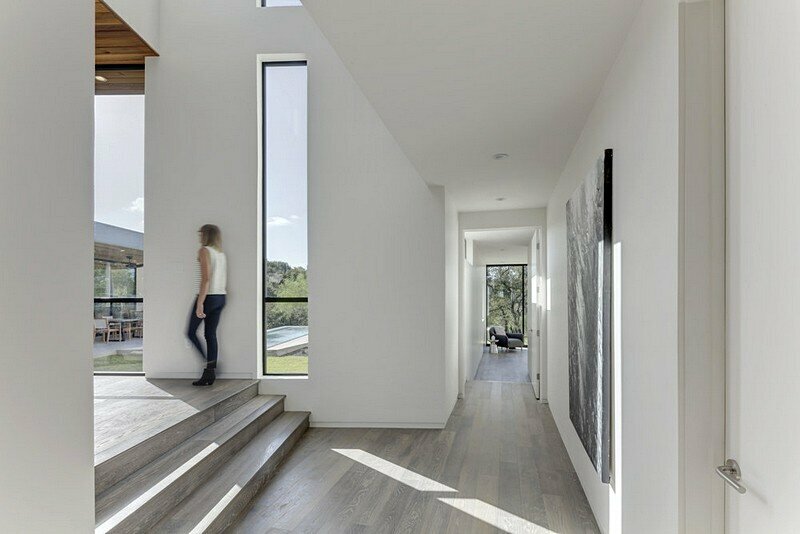 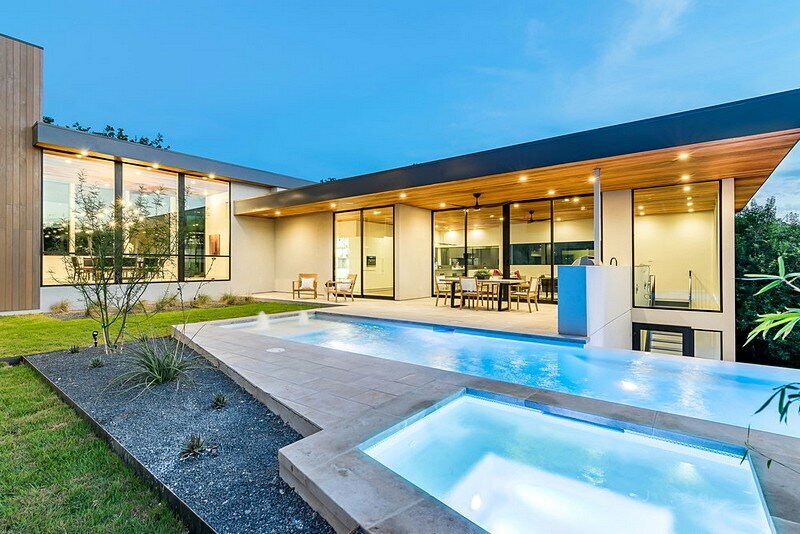 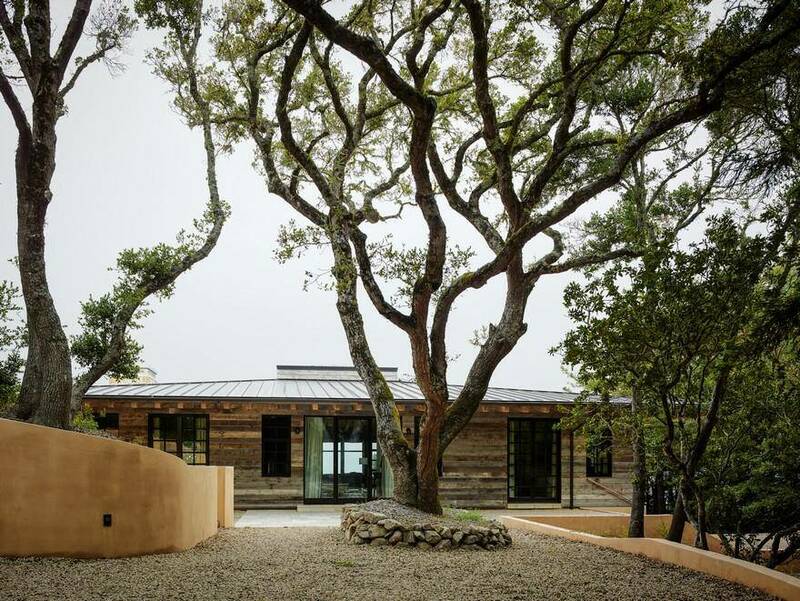 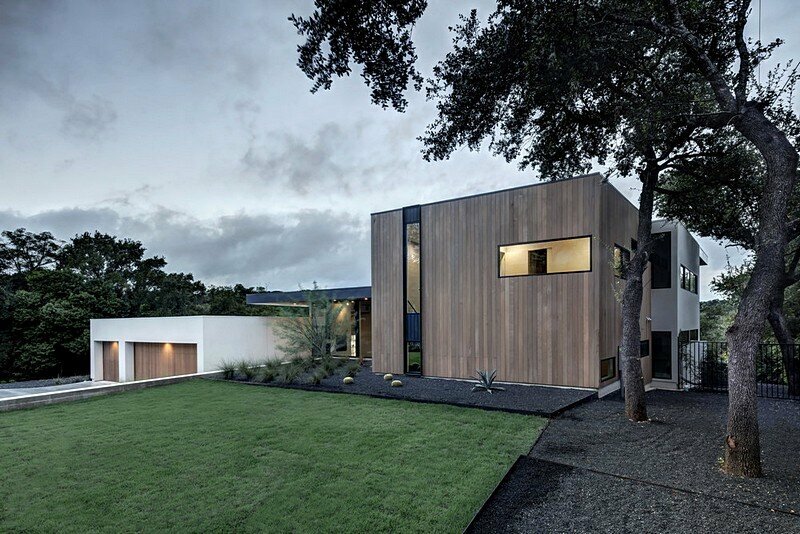 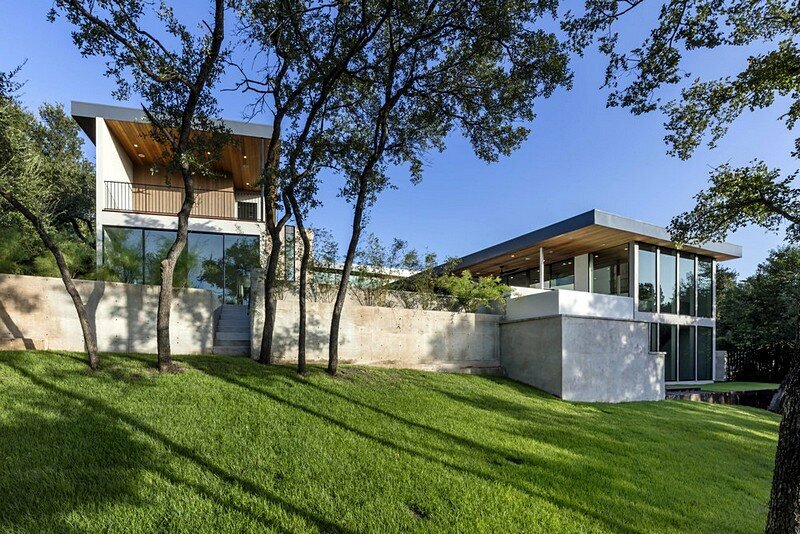 Bracketed Space House is a spacious Texas dwelling designed by American studio Matt Fajkus Architecture. 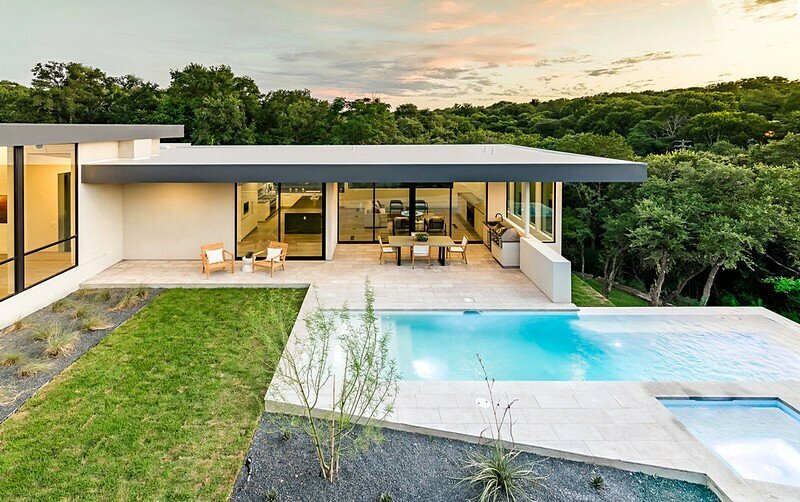 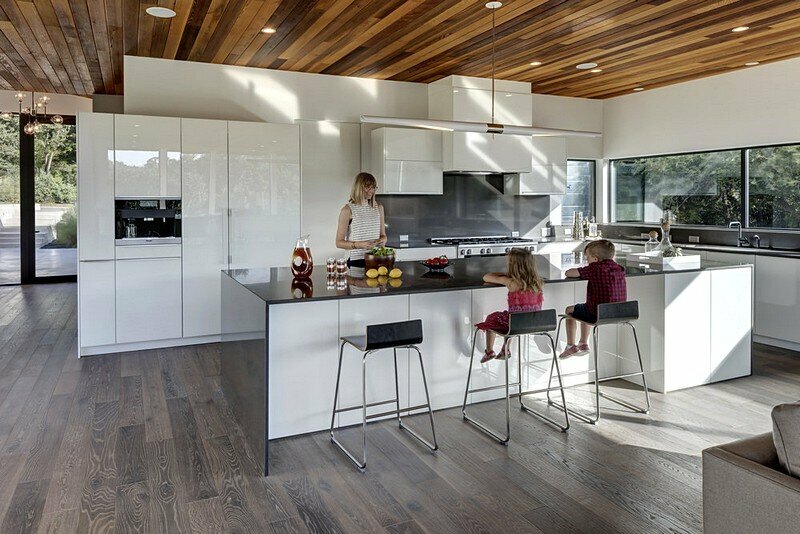 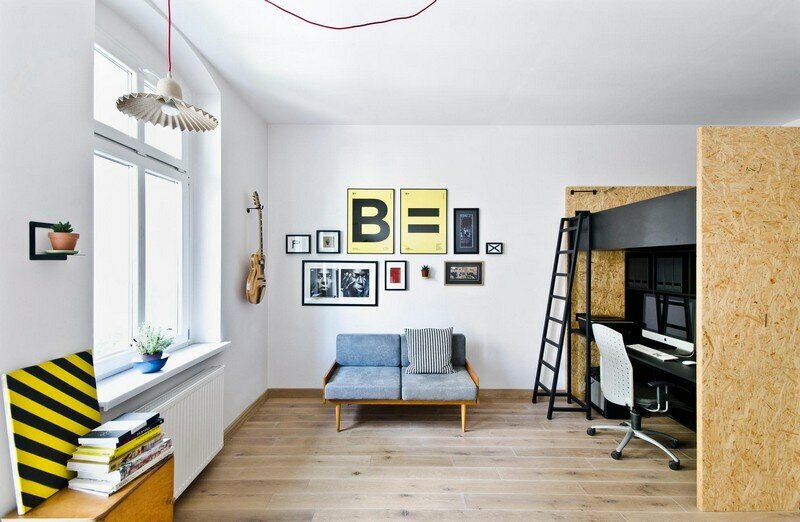 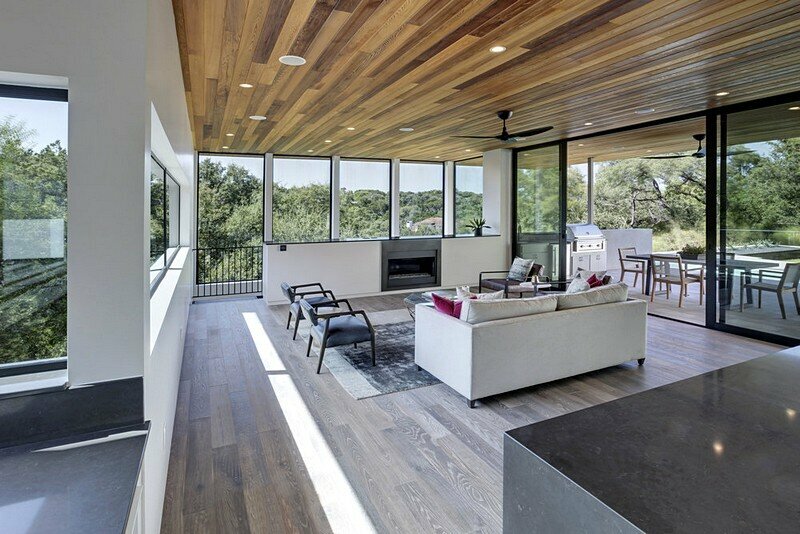 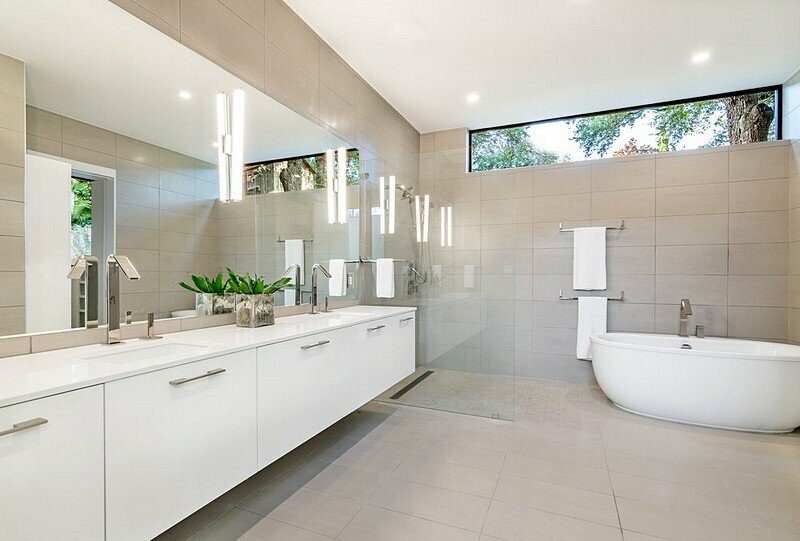 This 4,849-square-foot home was designed for a young urban family and is located on a sloped site in the city of Austin. 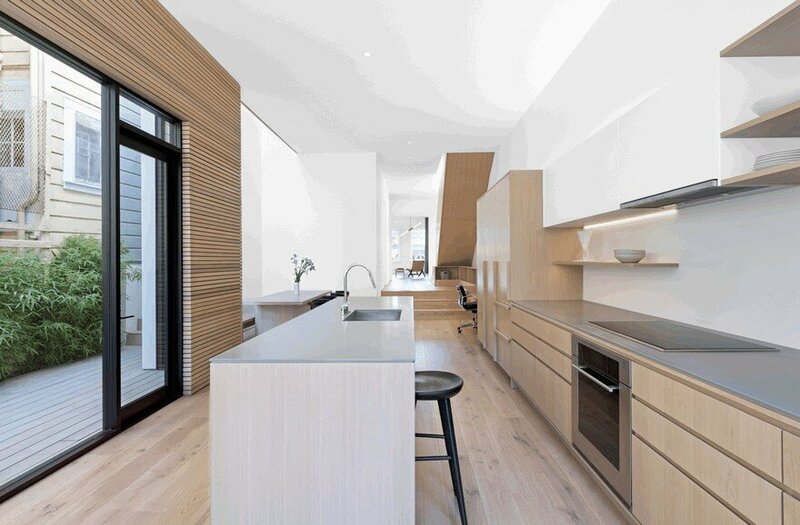 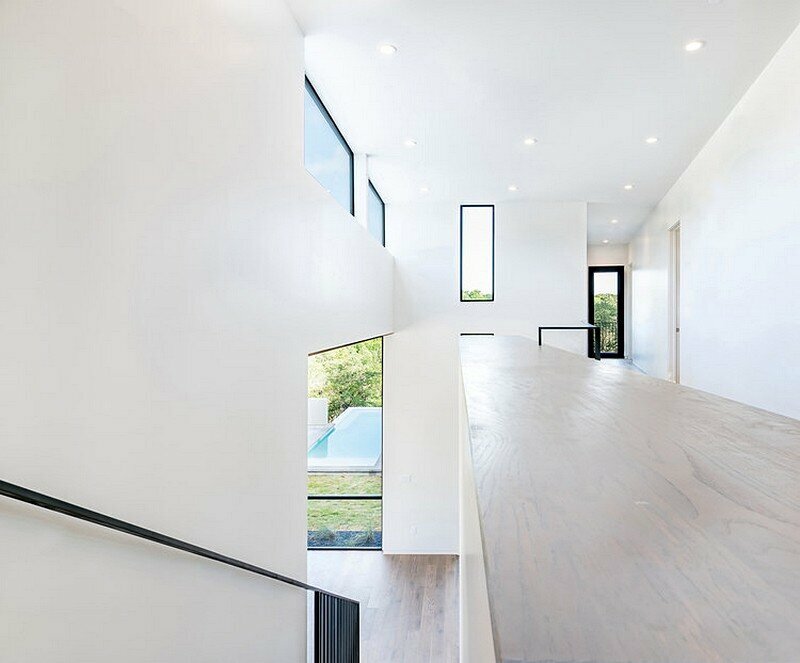 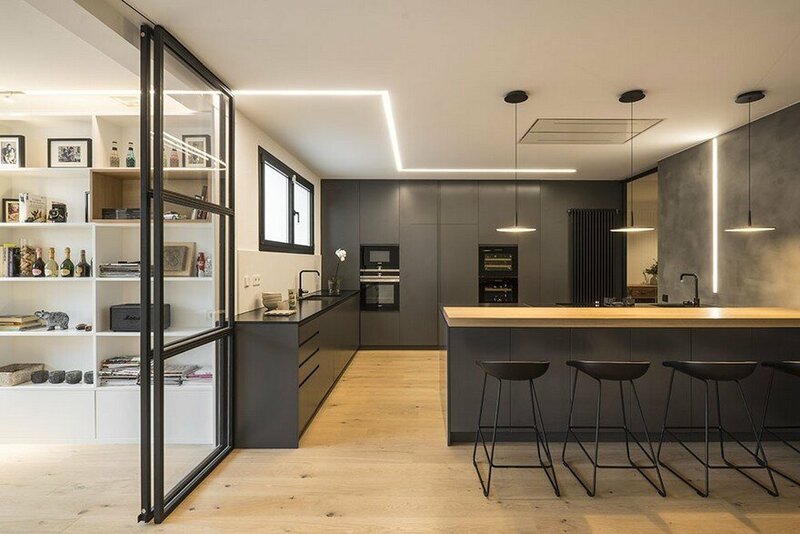 Incorporating the site’s dynamic landscape into the daily life of its residents, the [Bracketed Space] House is designed as a meaningfully-framed procession through the property with nuanced natural lighting throughout. 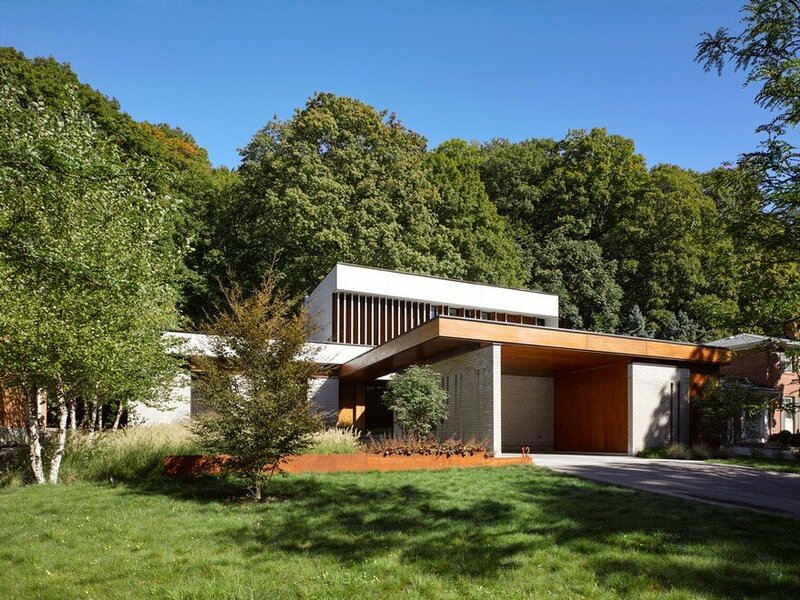 A continuous and jogging retaining wall from outside to inside embeds the structure below natural grade at the front with flush transitions at its rear facade. 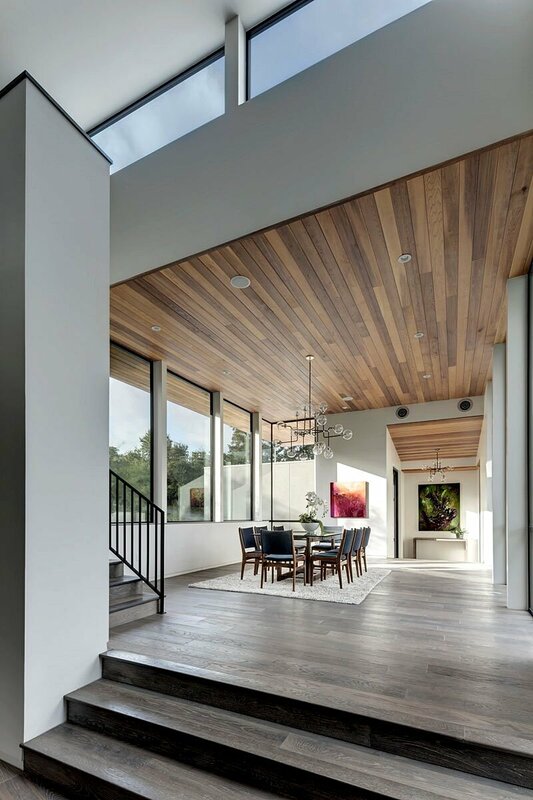 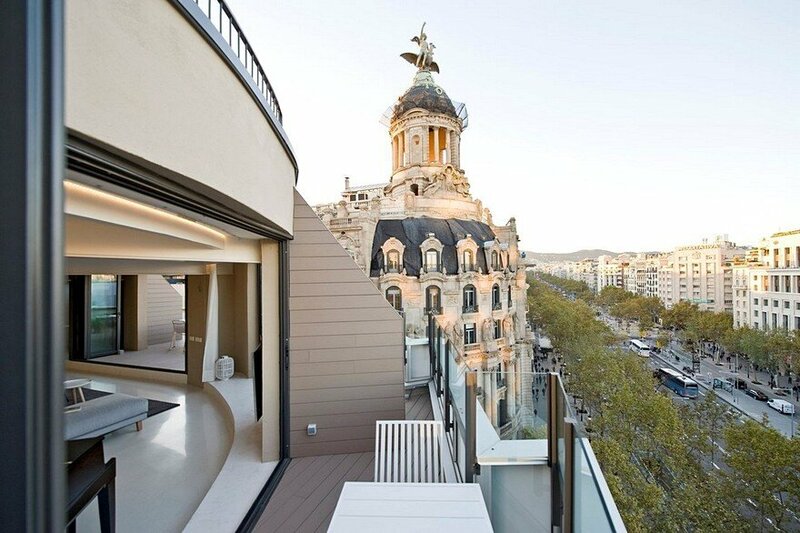 All indoor spaces open up to a courtyard which terraces down to the tree canopy, creating a readily visible and occupiable transitional space between man-made and nature.